As 2018 draws to a close, we reveal our pick of the cricketers who have had a huge impact on their sport in the past year. It has been a year in which ball has dominated bat, especially in England, and only one top order batsman has looked a class above everyone else. 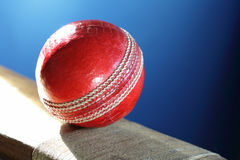 India skipper Virat Kohli endured a torrid time during India’s last tour of England in 2014, when he had issues with poking at balls pitched just outside his off stump. This meant that he had to work on his technique and in particular, the positioning of his feet, both inside and outside the batting crease. The changes made by there 30-year-old benefitted him immensely as it has enabled him to consistently score runs in all three formats in 2018. He went past 1,000 runs for third consecutive season, and is international cricket’s leading scorer in 2018. Can he continue to dominate in Australia on India’s current tour and in 2019? It has been an interesting year for the England Test skipper. Having lost the 2017-18 Ashes series down under, defeat in New Zealand was followed by a drawn home series with Pakistan, questions were asked about inconsistent decision-making in both Root’s captaincy and batting. During his first news conference as Test captain, he talked about wanting to make his team more aggressive in terms of the style of play, but there is a difference between being aggressive and reckless. The series win against India was crucial for him as captain. Had England lost it, more questions would have been raised over his appointment, especially after the drawn Pakistan series. 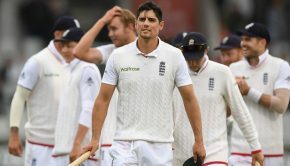 But the 27-year-old proved the critics wrong by guiding England to a 4-1 home series win against India, who were the No.1 ranked team in Tests, followed by a first Test series victory in Sri Lanka in which they earned a 3-0 whitewash. It has been another great year for England’s highest wicket-taker in Test matches. Anderson surpassed Glen McGrath’s record of 563 wickets to become the most successful fast bowler in the longer format. It came when he knocked over Mohammad Shami to seal victory in the penultimate test of the summer against India at The Oval, and he went on to make it 565 in Sri Lanka. His next target is former Indian leg spinner Anil Kumble, who is third on the all-time list with 619 wickets in 132 Tests. 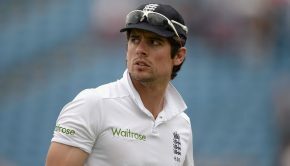 However, England’s No.1 strike bowler is now 36 years old, so how long can he continue to thrive at the highest level? There are many contenders who can make a claim for being the best all-rounder of 2018, but we rarely see anyone from an associate nation who has the ability to become a high-quality player in the space of a calendar year. Afghanistan have produced a mystery wrist spinner in Rashid Khan, who in his first season in the Indian Premier League bamboozled almost every batsman with his variation of deliveries. Khan, 20, also played some crucial cameos with the bat to help his IPL franchise Sunrisers Hyderabad post some scores which they could defend with their high-quality bowling attack. It will be interesting to see how he adapts to red ball cricket, especially after Afghanistan played their first official Test against India early this year. Great fielding is needed by bowlers to help them put batsmen under pressure, but before the Jonty Rhodes era, it was always ranked a poor third among the skills required to be a professional cricketer. South Africa’s Rhodes played a huge role in raising the standards of fielding, with his countless memorable diving catches and direct-hit run-outs. Nowadays, most of the top teams have some really good athletic fielders, such as New Zealand captain Williamson, 28, who has taken some great catches this year. The best of them came during the first Test against England where he took a fantastically acrobatic catch at gully to dismiss Stuart Broad. Women’s cricket continued to make great strides in 2018, and nowhere was this more apparent than in an exciting 2018 Women’s Twenty20 World Cup in the West Indies. Perry’s Australia defeated Heather Knight’s England in the final to claim their fourth World T20 title in the last five tournaments. Perry, 28, is an all-rounder who bats right-handed and bowls right arm fast. In 2018, she became the first Aussie player – male or female – to notch up 100 international T20 matches. Test: Joe Root (Eng, Captain), Aiden Markram (SA), Usman Khawaja (Aus) Virat Kohli (Ind), Jos Buttler WK (England, wkt), Ben Stokes (Eng), Adil Rashid (Eng), Jasprit Bumrah (Ind), James Anderson (Eng), Moeen Ali (Eng), Mohammad Abbas (Pak); 12th man Sam Curran (Eng). ODI: Rohit Sharma (Ind), Jason Roy (Eng) Virat Kohli (Ind, Captain), Joe Root (Eng), Jos Buttler (Eng, wkt), AB de Villiers (SA), Ben Stokes (Eng), Kuldeep Yadav (Ind), Andrew Tye (Aus), Rashid Khan (Afg). Since making his Test debut in the second Test of the summer against Pakistan, Curran has played a huge role for England with both bat and ball, especially in the series against India. The left-handed all-rounder played a pivotal role down the order, where made some useful scores to get England out of trouble, especially when their top order failed to produce. It was he, along with Buttler and Stokes, who frustrated the Indian bowlers as they managed to get England out of a tricky situation and into a position of strength. Curran also claimed some important wickets, including India vice-captain Ajinkya Rahane. He scored a total of 272 runs, including two scores of 50 or more. His highest was 78, which he achieved in the first innings of the fourth Test at The Ageas Bowl, Southampton. Although Curran had an average tour of Sri Lanka, he is surely one of the players to watch in 2019. Indian cricket has been blessed with high-class and talented batsmen including the likes of Sunil Gavaskar, Sachin Tendulkar and Kohli. In terms of the next generation, Shaw is classed as one of the potential stars of the future. He started his Test career against West Indies, scoring his maiden Test century in the first match in Rajkot in November. He was then selected for India’s team to tour Australia but sprained his ankle in a practice match against a Cricket Australia XI. This meant he missed out on an opportunity to play in the first Test in Adelaide. Will he be able to feature in any of the three remaining Tests down under? Another of India’s future prospects is wicketkeeper batsman Pant. During India’s victory in the first Test against the Aussies, Pant took 11 catches, which equals the highest number by a wicketkeeper in a Test match after AB de Villiers and former England gloveman Jack Russel. Pant, who is usually associated with Twenty20, made his debut during the third Test against England at Trent Bridge in August 2018. He then scored a swashbuckling maiden Test century in the fifth Test of the England series at The Oval. Although his ton was for a losing cause, his innings showed glimpses of the kind of talent he has to succeed in the game, especially in the one-day and T20 formats. The left-hander has already made a great start to his career by achieving small milestones such as being the first Indian batsman to hit a six off his first ball in Test cricket. What will 2019 bring for this exciting youngster?